Stampin’Up! 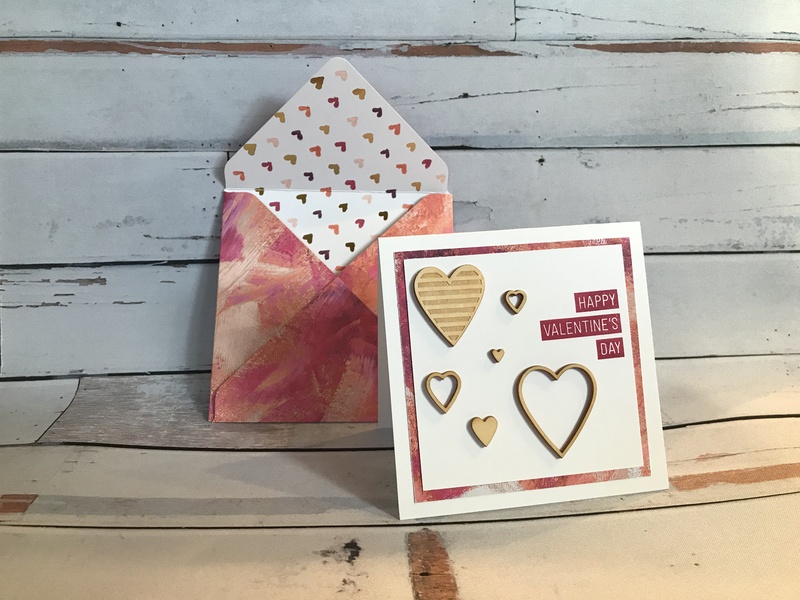 has always hit a home run with their Valentines stamps and accessories…. and this year is no different. I think the Painted With Love DSP from the Occasions catalog is just amazing. Each piece is an artwork within itself. For my sweetie’s Valentine I used this beautiful paper to make an accent layer on my card and a coordinating envelope. I am in love with the Hearts and Stars wood elements from the annual catalog so I decided to add these instead of stamping hearts. They are so easy to use and adhere with just a touch of Mono Multi glue. 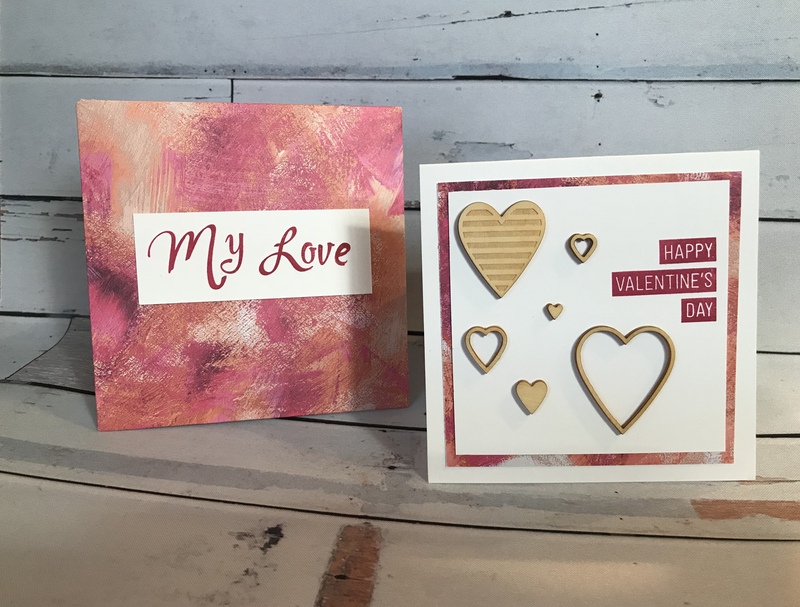 Our products are very on trend so these funky wooden elements give off a very modern feel and fit right in with my simple style of stamping. The sentiment, stamped in Melon Mambo, is from our most recent Paper Pumpkin kit, and knew it would be my go to stamp this VD. If you are not subscribing to Paper Pumpkin or would like to know more about it please let me know! I made the custom envelope using the envelope punch board and addressed it with the ever fun Brush Stroke Alphabet set from the annual catalog. If you have any questions please contact me or leave them in the comments. I would love to hear from everyone who stops by. And please let me know if you are interested in learning more about Stampin’ Up! Now is a fantastic time to get started in your crafting journey as we offer so many free products during our yearly Sale-A-Bration event! So cute! I love the simplicity! It’s great for a lot of occasions. Well I KNOW I love this! Sweet Valentine with those wooden hearts…..and oh that DSP! I like everything about this. Very pretty Card and envelope set. Great card Pam! Love the sentiment, the wooden elements and the Brushstroke Alphabet on the envelope. All wonderful!! Thank you Katie! It means a lot coming from you. I have always admired your cards! I adore that precious collection of wooden elements . . . lots of love! Beautiful! That DSP is fabulous, and you surely made use of all the paper for the mat. Gorgeous! Oh, Pam! I love this! What a great project with these fun heart elements. ❤ ❤ ❤ So glad you could join us on the hop today! Thank you Brian! I’m going to try to hop all year long!